On third-and-2 from the 11, #Gophers Seth Green dives up the middle. He was given credit for a 1-yard gain but appeared to get 2. Play is being reviewed. #Gophers Seth Green dives for a 3-yard gain to the 19 on fourth-and-1. Gophers facing 4th and 1 from Badgers 22. Fleck calls timeout. #Gophers Morgan spins out of potential sack, gains 4 yards on third-and-6. Gophers call timeout facing fourth-and-1 from the Wisconsin 22. #Gophers Tanner Morgan hits Tyler Johnson for 28-yard gain to the Wisconsin 31. Facing third-and-8 from the Minnesota 26, Badgers QB Alex Hornibrook is intercepted by Coney Durr, who returns it 25 yards to the 41. Pass complete to Danny Davis. #Gophers punt, and LB Blake Cashman hits Jack Dunn just as he caught the ball and is called for targeting. After review, call is upheld and Cashman is ejected. Wisconsin gets ball at Minnesota 39. #Gophers get a third-down sack of Hornibrook by Esezi Otomewo forcing punt, which is downed at the Minnesota 5. 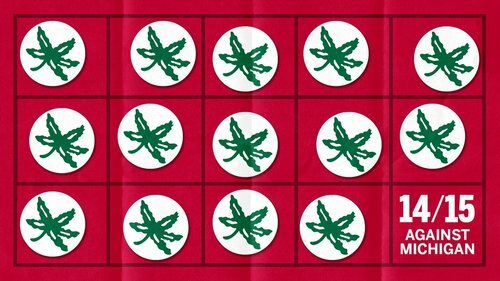 It's all over in Columbus! 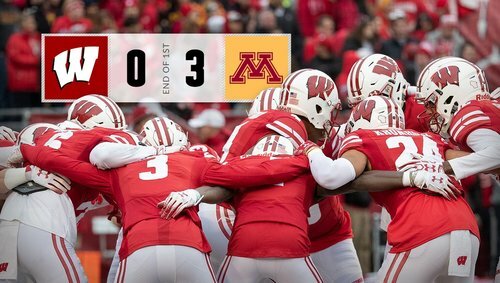 End first quarter: #Gophers 3, Wisconsin 0. Badgers have ball at Minnesota 46, first-and-10. Touchback on kickoff after #Gophers field goal. 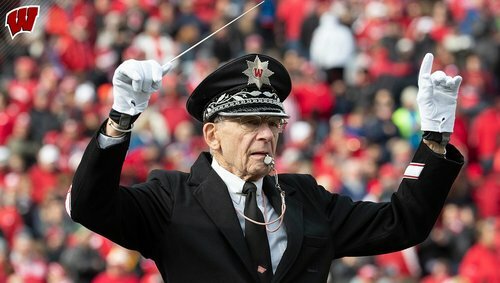 Wisconsin starts at its 25. Minnesota's Emmit Carpenter's kick from 34 yards is good (but bad), Gophers lead 3-0. Morgan is 5 of 9 passing for 70 yards. Three of his passes have been deflected at line. 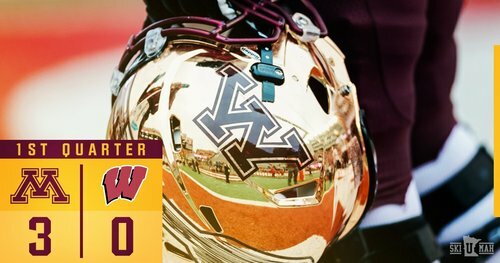 #Gophers drive to Wisconsni 15, but third-down pass comes up short. 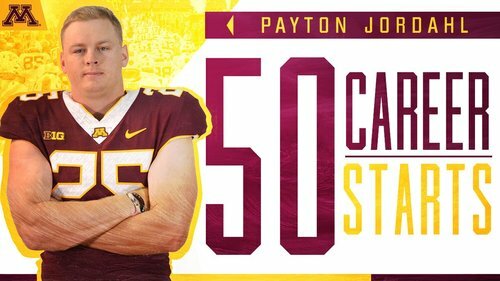 Emmit Carpenter gives Gophers a 3-0 lead on a 34-yard field goal with 2:37 left in the first quarter. 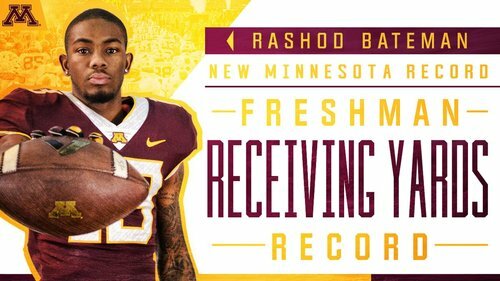 After a 17-yard reception Rashod Bateman has another #Gophers receiving record! He moves past Ernie Wheelwright for most yards by a freshman. 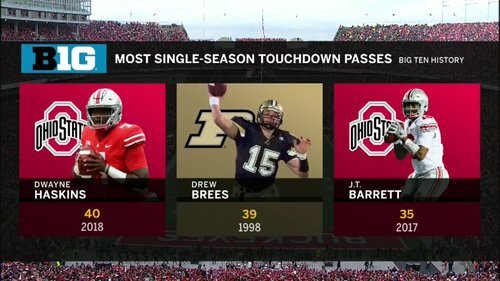 @dh_simba7 passes @drewbrees for first all-time on the single-season @B1Gfootball passing touchdown leaderboard. Wisconsin drives to #Gophers 13, but Rafael Gaglianone misses a 31-yard field-goal attempt. Gophers take over at their 20. Long drive by Badgers comes up empty with missed FG. Wisconsin takes over at its 26 after Jacob Herbers' 27-yard punt. #Gophers Tanner Morgan opens with a 23-yard gain on a pass to Tyler Johnson on a slant pattern. Touchback on opening kickoff. #Gophers start at their 25. The #Gophers won the coin toss and will receive. That is just the fourth time Minnesota has won the coin toss this season. They are 2-1 when doing so. #Gophers win coin toss and elect to receive.